So what is it I do? How did I get here? Why am I in the middle of the Amazon rainforest on the border of Venezuela at a gold mine? These are all questions that I meant to answer in an earlier draft that I had written which wound up circling into purgatory over years of neglect. So I’ll start at the beginning and work my way to here. When the Kuwaitis kicked us out of their country and HEMS program (3 years earlier than contracted no less) I came back to the United States with high hopes of walking onto another flying job somewhere in America. What I found was that when the oil price had crashed from over $130 a barrel to just barely $30 a barrel the industry (Oil and Gas) had been gutted, understandably. 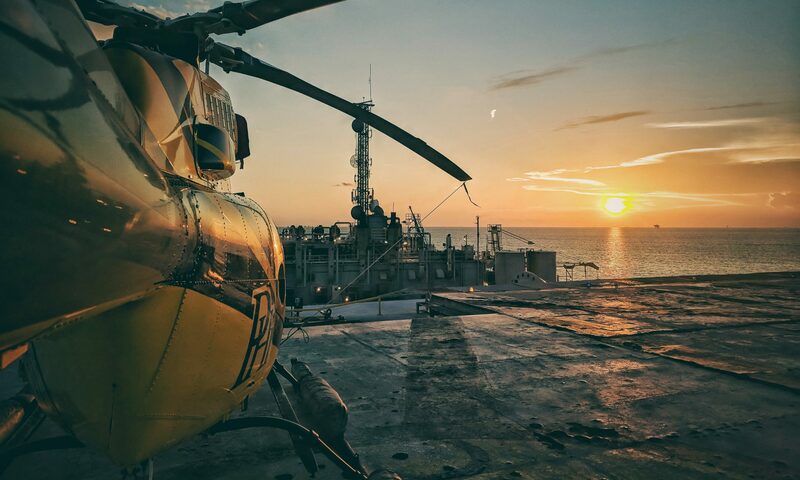 As oil companies shuttered projects and stopped exploration they also scaled back manpower and with all of these changes they no longer needed the hundreds of helicopters and thousands of pilots that they had once demanded. I read one pilot in a webboard speculate the layoffs in the helicopter industry were somewhere around 10,000 people. Pilots needed jobs. Suddenly there was a flood of oil and gas pilots on the market and employers had their pick of the litter. They could nickel & dime high-time pilots and fill their ranks with some of the best flyers on the market, without spending a dollar more than they normally would on a low-time guy – because pilots needed jobs, bills needed paid, and families needed fed. The result? Low time pilots have since left their flying careers behind in droves, since they couldn’t find work – and I was almost one of them. I spent nearly a year (11 months) as an unemployed pilot. I was, however, not unemployed entirely – because I read the writing on the wall, and spoke at HAI to this subject, pilots will be replaced by drones, it’s a lot closer than you think, and it’s already happening. So I decided to finally jump into sUAS, both feet first. I bought my first drone, and formed an LLC. One drone led to two, and then three, and then a thermal camera and trips to conventions and then – my first customer. Aurora Gold Mine in Guyana wanted drones for their security department and needed someone to assess their needs, handle purchasing, delivery, deployment, and training. I was that guy. I flew down to Guyana on spec (for free) to demonstrate unmanned technology. All I owned at the time was a recreational DJI Phantom 3 Pro, I knew I needed to make it count. In just a few short days I filmed, photographed, and mapped their entire mine. I would spend the hours not flying editing video, and by the end of the trip had a “tour” of the mine by air video made and timed with music. The CEO was impressed, and every department wanted to get their hands on the drone. Of course, for what they wanted the Phantom was not going to cut it. Since that initial visit I’ve been back to Guyana a half dozen times, I’ve delivered 9 drones, and after this site visit I’ll have trained almost 30 operators. I wrote an operations manual, and maintenance guidelines for the drone program and we even made some big ticket discoveries that have led industry leaders like DroneDeploy to introduce new features specifically meant to address problems I’d brought up from trips. The team at DroneDeploy has been fantastic to work with, they even invited me to sit down with them at Interdrone in Las Vegas to discuss me needs, shortcomings I saw in the software, the whole works. Even though I was hired in my 11 month of unemployment as a helicopter pilot I’ve still kept Aerial Resource Group, LLC alive and strong. Last year (and into this year) I ran for U.S. Congress which meant I was less able to travel and do training, but we still managed to have a profitable year. In fact, every year since its founding in 2016 has been a profitable year and 2018 is on track to be just as profitable. Business is good, and the industry is only going to get better.